This class teaches you everything you need to know about creating a strategy to get noticed and accepted into multiple Sponsored Blog Network campaigns every month! - What a pitch system is and how to create one. - What a pitch template is and how to create one. - How to build your reputation within Blog Networks. - How to get noticed for more campaigns. 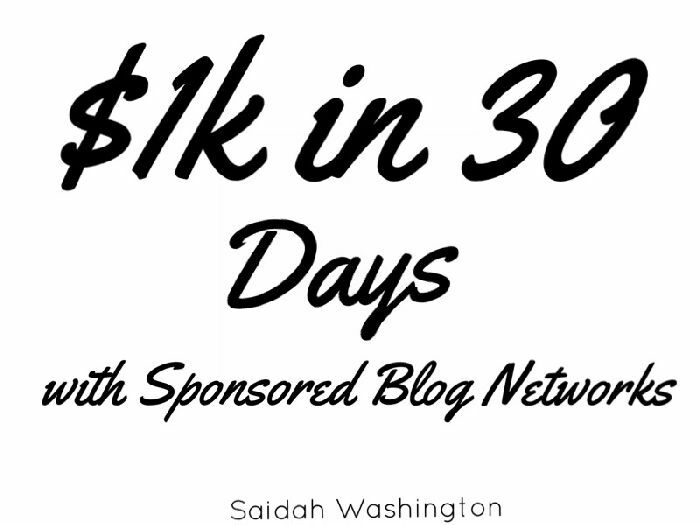 Tap the following link to grab $1k in 30 Days with Sponsored Blog Networks.